Create a gorgeous focal point for your holiday gatherings and family dinners- a succulent centerpiece! 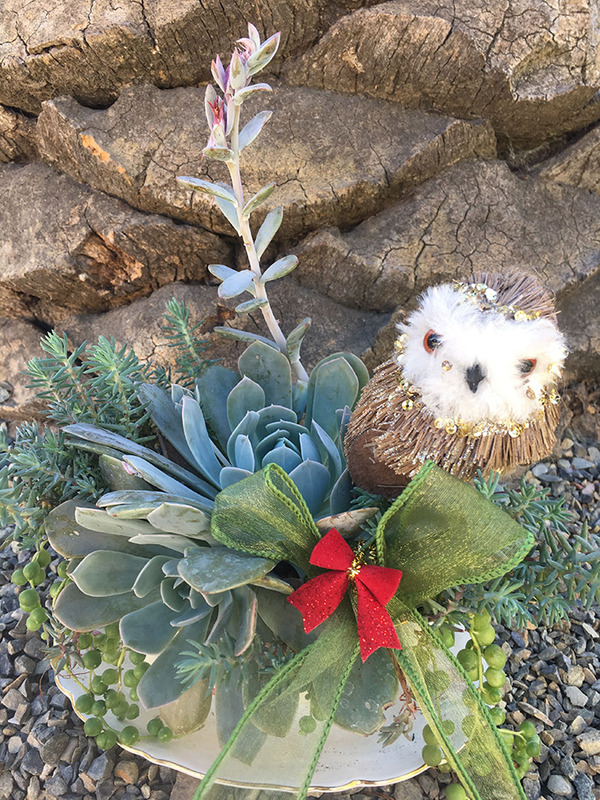 While you sip hot cider and nibble on holiday cookies, RBG instructor, Linnea Lion, will explain how to plant and maintain your succulent centerpiece. All plant materials and one-of-a-kind containers (with drainage hole) will be provided.